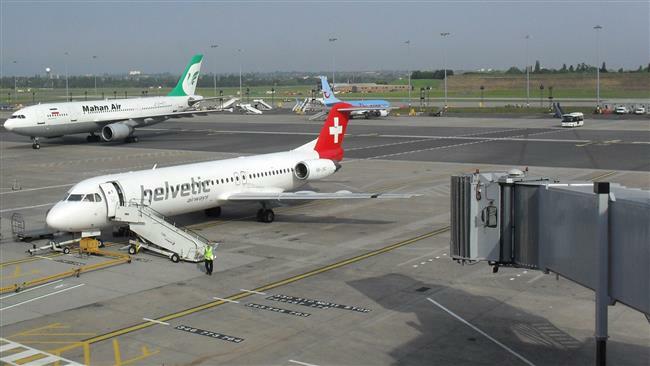 The head of Iran’s Civil Aviation Organization said that the US did not have the right to block the planes on international trips but Iran had to get ready for any eventuality. The US government is actively working to block nine recently acquired Airbus jets which Iran plans to use on international routes, American media quoted an official as saying. The unnamed senior administration official said the US would continue to “vigorously” enforce the sanctions it has in place on Iran, The Wall Street Journal reported. “We have identified the planes in question and listed their tail numbers,” the Journal quoted the official as saying. “I have been quite explicit with the Iranians that we will try to disrupt this action because Mahan Air has been a designated entity for some time,” the official said, the paper reported. Mahan Air acquired eight used A340s and one A321 last month as part of Iran’s efforts to rebuild the country’s aging commercial fleet which has suffered a series of aviation mishaps under US and European sanctions. The airline is under US sanctions as of Oct. 2011, with the US government saying Mahan Air’s assets were “blockable”. On Tuesday, Press TV reported on Iran’s announcement that it would take legal action if the US tries to block the passenger jetliners on international journeys. Head of Iran’s Civil Aviation Organization (CAO) Alireza Jahangirian said the US did not have the right to block the planes on international journeys but Iran had to prepare itself for any eventuality. “Under international laws, it is impossible to seize the new Iranian aircraft but we have to see to what extent those laws are being implemented and which countries are trying to show their force to other states,” Jahangirian said. The official said the first of the eight A340s and one A321 will become operational in the country’s aviation fleet in the coming weeks after receiving flight permit. “As long as flight permits have not been issued and a disruption has not taken place, we cannot make a definite assertion. But if that happens, Iran will take a legal action,” he said. The US threat comes as nuclear negotiations with Iran are heading to the final stretch. Tehran has made it clear that it would not settle for anything short of removal of sanctions across the board if a deal were to be signed.